Lancer Tactical White ABS Airsoft BBs - 5,100-Count Bottle, .20g, 6mm, Competition Grade, Seamless, Preserves Airgun’s Mechanisms | BUDK.com - Knives & Swords At The Lowest Prices! Highly recommended for high-powered AEGs, Lancer Tactical ABS Airsoft BBs will actually help preserve the lifetime of your airgun’s internal mechanisms. The competition grade, seamless construction of the airsoft BBs rounds also ensures full precision out on the field. 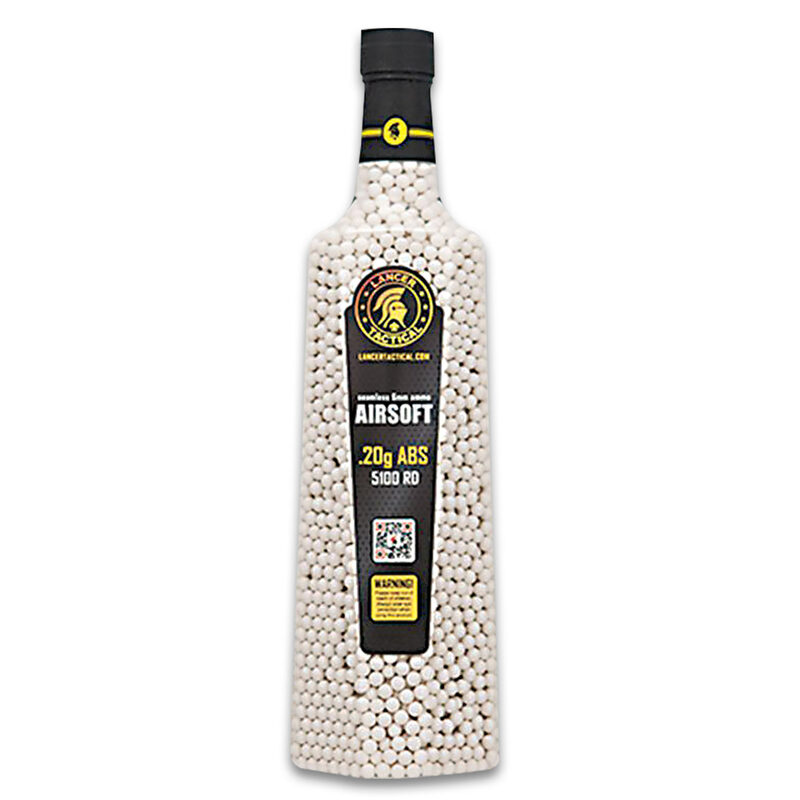 The bottle includes 5,100 .20g, 6mm white ABS polymer airsoft BB rounds.